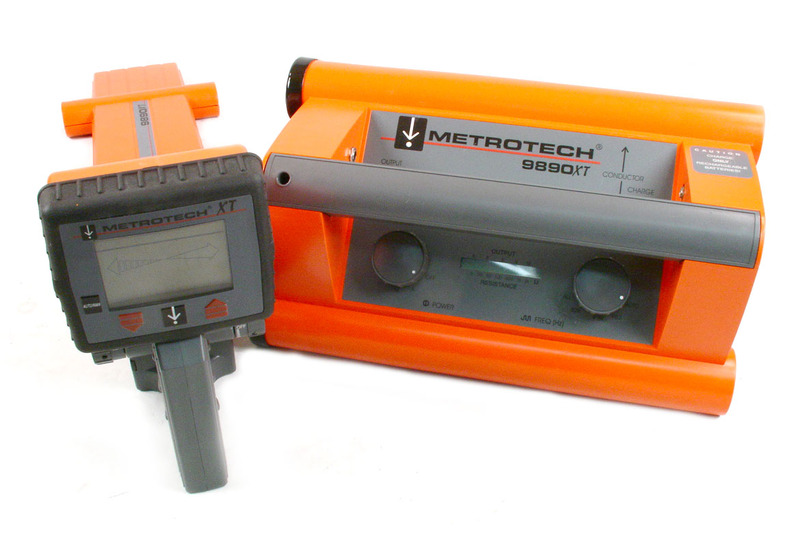 Metrotech 9860XT - 9860DLXT - Dual Frequency Utility Line Locator "Best Frequency" autoselect feature & power line locate. 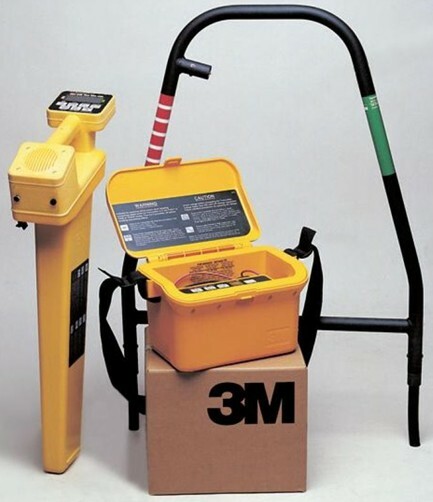 Metrotech 9800 XT Series is the only advanced locator available with both Real-Time Continuous Gain Adjustment¿ and Manual Gain control. Take control of all your locates with the rugged and highly accurate 9800 XT series. Designed for production locating, the 9800 XT series exhibits enhanced sensitivity and uncomplicated line identification. Real-Time Continuous Gain Adjustment¿ & Manual Gain control greatly widens the response range of the instrument without unnecessary complication. The production technician sees greater productivity with faster more reliable response. Multi-Frequency selection gets the job done with one instrument, reducing costs and training time. Built-tough, weather-resistant design ensures year round durability. Fingertip controls for ease-of-use, the 9800 XT Series is still the premium locator with the fewest controls. SMART electronic design removes the guess work, and displays more detailed information. This unit is a -DLXT designating it as using Alkaline batteries, -RLXT versions have rechargeable batteries in the transmitter.